It's probably safe to say that everybody likes DVD movies, which are fun to watch on the big screen and even more fun to watch over and over again in the comfort of your own living room. Want to find a reliable DVD player software which can help you enjoy your long-treasured DVD movies, all while giving you control over video and audio playback optimization? Online stores have discovered a trending market in the form of DVD Player software for Windows and Mac users all over the world, there are so many to choose from and therefore a summarized article is quite appropriate to save time. In this article, we pick up top 10 DVD player software for Windows and Mac allowing you to play any DVDs. 5KPlayer is an all-in-one DVD Player Software is designed to play any DVD (DVD disc, ISO image, VIDEO_TS) on Windows 10 (64 bit and 32 bit), 8.1, 8, 7, etc. with no ads, malware or spyware. As the best Windows DVD player software, it not only has fully support for playing DVDs encoded into region codes 1-6, but also gives you a free access to play encrypted DVDs without worrying about DVD CSS, Disney DRM, Sony ARccOS, and the latest DVD protection techs. In addition, featuring output up to 8K/4320p and DTS 5.1, this powerful software also plays 4K DVD movies, and allows adding external subtitles to DVD/video for better viewing experience. Undoubtedly, VLC Media Player is one of the most popular DVD player software for Windows. It supports a wide range of Windows operating systems, and already has a basic Windows 10 support. As powerful as 5KPlayer, it is able to play DVD discs, DVD folders as well as ISO files. To play a DVD disc with VLC Media Player, open the File menu, choose Open Disc from the resultant menu item. While in the Open Disk Dialog Box, select DVD. 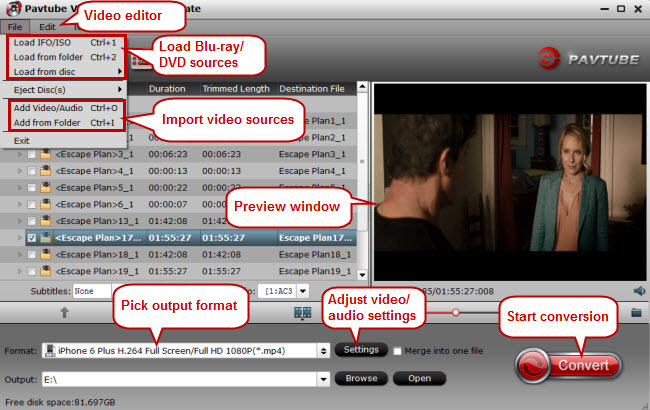 When reading the DVD you have the option to enable DVD menus through selecting DVD Disc Type from the wxWidgets. Then click Ok to start playback. KMPlayer, also known as K-Multimedia Player or KMP, is a free DVD player for Windows. Just like other software, it contains its own internal codecs making it possible to play virtually every media file available including DVDs. In addition, it offers many advanced features, is extremely customizable, and is available in multiple languages. If you are looking for a versatile DVD player software for Windows, KMPlayer may be just the one. BlazeDVD Free may be unfamiliar to most of us. Just as its name implies, it is free DVD software. According to the introduction on its official site, BlazeDVD Free is a Windows-based DVD player available to play DVDs and also popular videos. It is designed for Windows 8 and also compatible with Windows 10. It announces to offer lifelong free service for playing DVD discs, DVD folders and DVD ISO files. However, BlazeDVD Free cannot act as a region-free DVD player to play DVDs of region 1,2,3,4,5 or 6 without changing region code. With PowerDVD's nearly flawless playback and massive format compatibility, you can enjoy powerful, high-quality playback when watching your entire DVD movie in one central place. It has a beautiful, intuitive interface that is enjoyable to wade through and easy to navigate. We like that it has so many options for picture and audio customization and doesn't dominate your computer's CPU or quickly drain your laptop battery. Additionally, its wide variety of features, including HD upscaling and social media compatibility, make it the ideal companion for DVD movie lovers. QuickTime media player is the default DVD/video player on Mac OS system and is obviously the best option for Mac users to play DVD. This best Mac DVD player freeware supports most common video/audio formats, enables you to play HD videos, record, edit and stream internet videos as well. It turns your Mac into a DVD player for watching movies without a TV. Unfortunately, it only has support for limited video formats and requires frequent update. This DVD player software is the default DVD player in macOS. It is so simple that all it takes to play your DVD on your Mac after installation is to insert your DVD in your drive and it will play automatically. It supports all the standard DVD features such as multiple audio, video & subtitle tracks as well as Dolby Digital 5.1 passthrough. It also enables you to turn on or off your DVD subtitles as well as skip chapters. Worked as the High Definition Hub for all kinds of media, XBMC Media Center joins our top 5 best Mac DVD player software list with no ambiguity. This free open-source media center is a pretty good, being easy to use, slick and supported by a large community of users. It offers a number of options and settings that allow you to play DVDs on Mac OS right out of the box from the main menu something other free DVD players cannot do yet maximize DVD playback quality. Mac Media Player is another free DVD player software available for you to enjoy your DVD movies on Mac OS. It works on Mac OS X 10.5 to 10.9 for V2.9.2 platforms. If you are using this program for the first time you need to select is as a default player in Mac. Mac Media Player allows you to enjoy your DVD movies on either full screen or window modes. A point to ponder upon before considering this option is the fact that when you install MPlayerOSX, it comes with SMPlayer as the prominent end app. The Player is a binary distribution of MPlayer and is one of the originals for Mac OS X, hence upon installation it gives you easy manipulative maneuvers like drag and drop even with your program on full screen or on window mode and plays it, all at your own convenience. Its video compatibility is admirable, it is of lightweight and quite very favorable compared to the other Mac DVD Players. Its platform is Mac OS X 10.5 and other later versions. It is easy for you to watch DVD movies in the way of using a DVD player software we listed above, but sometimes it can be somehow challenging that you end up with compatibility issues when using some DVD players. So, you may fail to play DVD movies on Windows or Mac. What if you end up with DVD playback issue or you are reluctant to install an extra media player or take along DVD discs with your during travel? Pavtube Video Converter Ultimate for Windows/ Mac is here to enhance your DVD experience. Working flawlessly on both Winodws and Mac, it can copy and rip any commercial DVDs to acceptable file format that is supported by your default media player supported by your computer. It also allows you to edit your DVD with a lot of ease thus making the experience fun. Step 1: Free download Windows or Mac DVD ripper, install and launch it. Insert the DVD your want to play to your hard drive by clicking "File">"Load from discs". Step 2: If you just want to play DVD on Windows computer, you can simply choose the Windows Media Player supported video formats like WMV, MP4 as the output format by following "Format">"Common Video"/"HD Video". If you want to play DVD on Mac computer, you can simply choose the QuickTime supported video formats like MOV, MP4, M4V as the output format. Step 3: Click Browse to specify the destination path. Step 4: Click "Settings" to adjust video/audio parameters, including bit rate, sample rate, channels, etc. Step 5: Hit on "Edit" button to customize output files with provided practical video editing features, including: trim video length, crop video size, split large video into segments, add watermarks, adjust video effect. Step 6: Hit "Convert" button to start DVD conversion on Windows or Mac. Tips: It's at your disposal to adjust video/audio parameters and edit DVD movies for better visual enjoyment on Windows or Mac. You can even upload the movie to YouTube or Facebook for sharing.